The handle was the bit that got me... together with the initials... just doesn't match - prob does really - but just me being picky!! Thank you in advance - Gonk. Thank you so much... I would never in a million years have got this one! 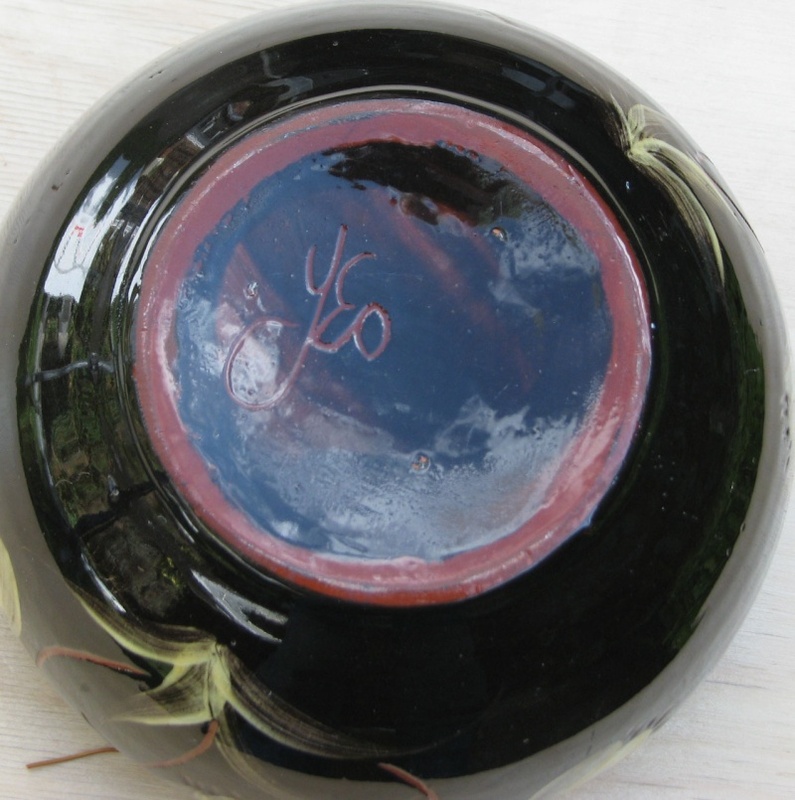 There is a connection, as the Yeo Pottery in Clevedon was started in the 1970s by someone who worked for Fishley Holland. Slipware pottery plate made by Yeo Pottery. Yeo pottery was set up by one of the potters who used to work for Fishley Holland, presumably when FH moved from Clevedon to Dunster. 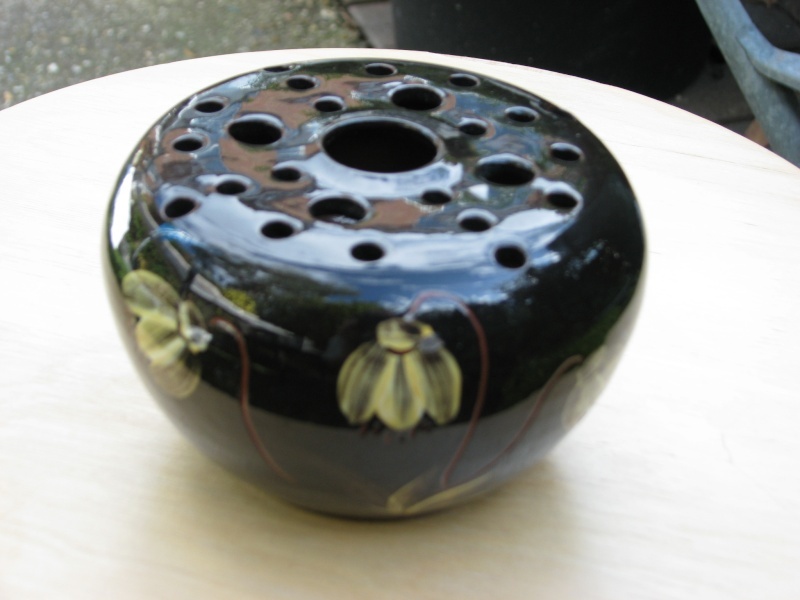 Just after the Second World War, Bill Janes joined Fishley-Holland's Clevedon Pottery as a decorator. Before that he had worked in grocery shops, having trained at Sainsbury's, but soon picked up throwing pots, as well as being an excellent decorator. 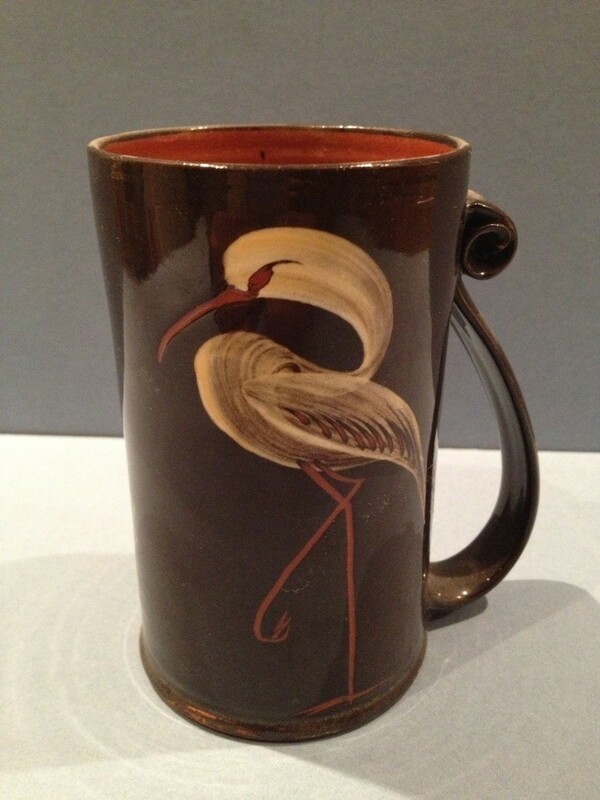 He remain at the Fishley Holland Pottery until its closure in 1977. He lived around the corner from the pottery in Clevedon and there in his garden and outbuildings in Moor Lane he started the Yeo Pottery after he was made redundant. 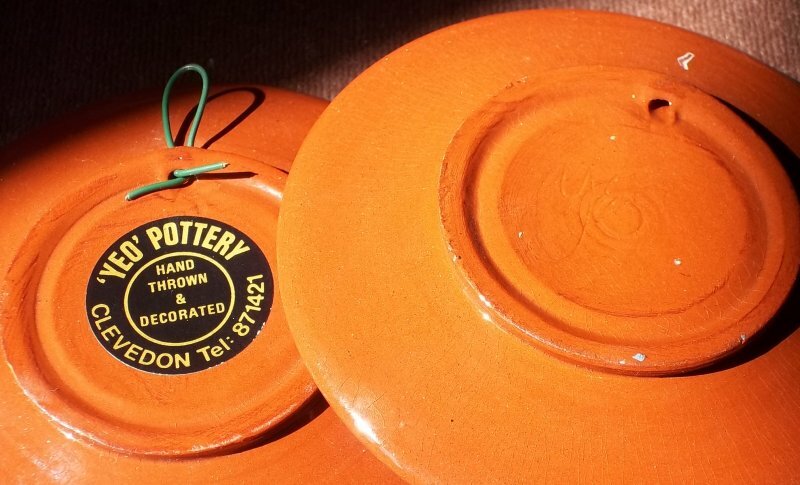 NOTE: I have added some information about the Clevedon/Dunster potteries separately under that thread. Anyone recognise the makers mark please? 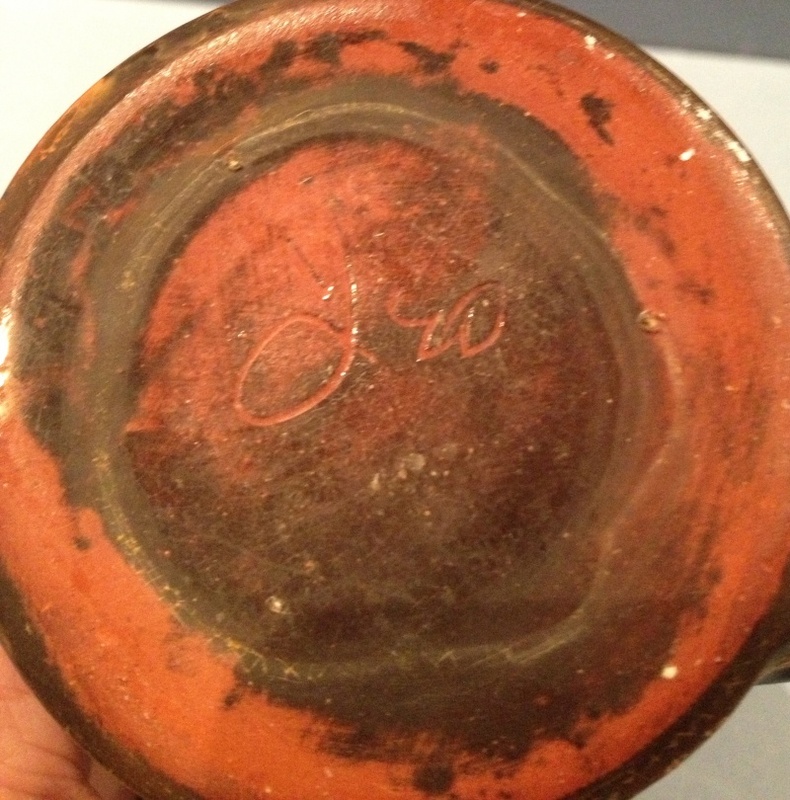 If you search on "Yeo Pottery" on a certain well-known auction website, you'll see a similar item with its original paper label. Thank you for that - It now seems obvious, but I thought it was a stylized monogram! 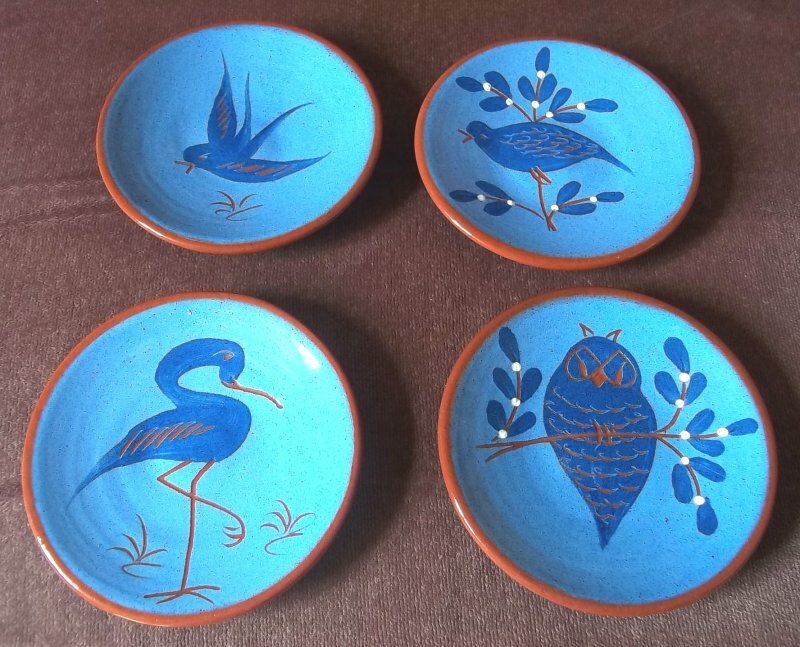 Far better to just stick to this site and under the "Fishley Holland & Dunster" thread you will see that the Yeo Pottery was the pottery of Bill Janes, who previously worked at the Fishley Holland Pottery in Clevedon. Thank you - looked at the thread and committed to memory! Janes lived around the corner from the Fishley Holland Pottery in Clevedon at Newhouse Cottage in Moor Lane and began working there around 1946. He stayed with the Fishley Holland operation until it finally closed in 1977 and then set up the Yeo Pottery in his garden and outbuildings. Thanks for Merging the threads Naomi. A set of 4 pindishes with birds, Labels and "yeo" incised.